It has been two years since my breast cancer treatments concluded and I am happy to say, I am still cancer free. Beating cancer was one of the hardest things I have ever done, being free of it should bring joy. Yet, I have to say this statement (being cancer free), with a little trepidation. I am anxious every time I feel a twinge of pain, or when I do my monthly self exams. I am always afraid of finding a lump. When I visit my oncologist, my apprehension increases to a point of ridiculousness weeks before I actually see him. I thought, when my treatment was finished that everything would get back to normal. I would go about day to day life as if I just recovered from a cold or the flu. No. That’s not how it has played out. My day to day is to have at least one episode of anxiety during the day and at least one as I go to sleep. Are they detrimental to my well being? No. I get through them. I have learned to breath deeply and appreciate the little things that bring joy into my life. I reached out to my psychologist who taught me how to ride out an anxiety attack and how to see the good things in my life. I have learned how to cope with the devastation of my diagnosis and the possibility that cancer may return. Make no mistake that this is an easy journey. It is not. Some days are easier than others. My mantra is to remind myself that I beat cancer once, and I will beat it again, and again, and again. 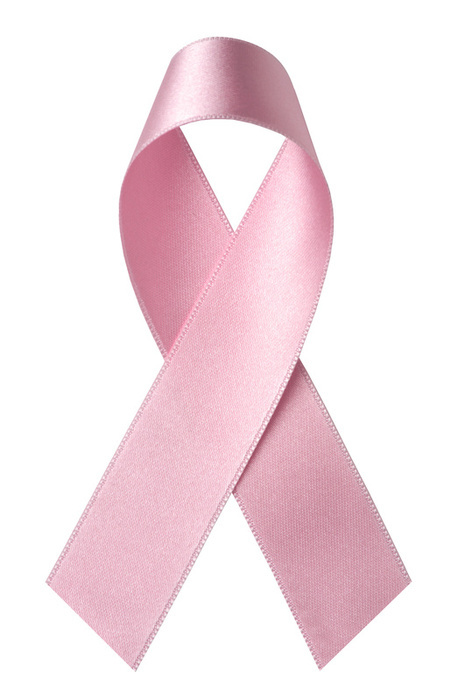 October is National Breast Cancer Awareness Month. Make a difference by donating to your charity of choice. Support the fight against Breast Cancer! Surgery and radiation were the final two steps in my treatment program. I have had surgery before (just last summer I blew out my knee), but for some reason this one terrified me. It was a relatively simple procedure. Many women have to have full mastectomies, but I was lucky, the tumor shrank so much that a lumpectomy was all I needed. My surgeon reassured me that I would be in and out of the hospital in half a day. Me? Well, I was still on the, “I’m going to die” wagon and I thought for sure this would be the end of me. HA! I thought every step was the end of me….. so what’s new? As promised, I was in and out of the hospital the same day. I checked in at 6:00 am and my husband took me home at about 3:00 that same day. I was pretty sore for quite awhile afterward (I still get pain now again and it has been 4 months since surgery), and I was quite swollen and turned all kinds of black and blue. I only have the scar left now. The best news is the removal of the tumor and one lymph node was a success. They had clean parameters and only 5% of the cells had live cancer. Clinically, this is a negative result and I was declared cancer free! Radiation came next. What an odd experience that was. They had to map the area where I would receive radiation by way of live X-ray and CT scans. I was given six tiny tattoos, each the size of a pin prick. There are three down the center of my chest, one on each side of my chest and one just above my left breast. These were for the technicians to align the radiation machine when I went in for a treatment. Each visit I lay on a hard table with my arms in stirrups over my head. A huge machine circled over with a buzzing sound starting to my right then circling up, around, and down to my left. In all I lay there for maybe 2 minutes and I was done. Five days a week and 35 visits later I had quite the rectangular sunburn on my breast. Thank goodness for emu oil! I have now been finished with treatment for over a month and it feels strange to be done. The biggest surprise was how I felt emotionally. I have seen movies about survivors, and I have read many stories too where the survivor has a new lease on life. They have a 360 degree turnaround, and joy pours down from the heavens and lifts their hearts and their lives to new heights. This was not quite so true for me. I have been visiting with a psychologist who specializes in cancer patients and when I told her that I was depressed and wasn’t that thrilled with my life she wasn’t surprised. Although she wasn’t surprised, I was. It turns out that many cancer patients are actually depressed post-treatment. The way I understand it is that when patient is given a diagnosis of cancer they go into survival mode that is cranked up full blast until they are finally done. This is when [they/we/I] have a chance to breathe and are able to work through the anxiety, depression, and grief of this illness. Prior to that it is a mind set to just keep putting one foot in front of the other. It is now the end of October 2015. Eleven months have passed since my diagnosis and my life is now moving forward. I still have the chance of my tumor returning, yet I am working to keep that thought from dominating my ability to live, love, and laugh. As my family and I carved pumpkins today I thought about how lucky I am to be sitting at the table with my family. It was wonderfully normal. This is the end of Part 4 of a multi-post story. Part 5 (the final installment) will be coming soon! Enduring the route of traditional medicine, for me, was the best choice for this type of cancer. Aggressive cancer had to be treated with aggressive medications. Chemotherapy followed by a surgery of some kind (lumpectomy or mastectomy – depending on the chemo results), then radiation treatments. The entire process would start late December and end sometime in August. Eight months. Eight very long months. On December 23 my first treatment was administered. Two drugs, Paclitaxel and the study drug, were given via IV through a port that was surgically inserted under the skin of my chest wall. It was all very sci-fi. Sitting in a recliner with intense drugs dripping into my body. It made me think of the song “Radioactive” by Imagine Dragons (this is a better version of the video IMHO). I felt like it was the end of days, breathing in all the chemicals, becoming radioactive (no, chemotherapy is NOT radioactive). Very surreal to say the least. “Radioactive” became my theme song for the next 7 months. Every week I joined 20-30 other people in treatment. We were all there for different cancers, but to think that everyday of the week up to 40 people could be in the infusion room being treated for some kind of cancer. The treatment center consisted of a long hall with treatment bays jutting off on both sides. The hall, with forty bays, forty recliners, treating up to forty people, stretched out in front of me, yet compressing into me at the same time. My perspective on how rampant cancer is has changed forever. Earlier I mentioned a study drug. I thought I should give page time to this study. When I learned of all the possible treatments I faced (there were actually not very many choices) my oncologist also told me about a study drug in the final phase of testing before FDA approval. The trial, called i-Spy 2, was an added drug that gave an extra “kick” to the standard taxol. I have always supported non-profits that helped in finding cures for all cancers (especially the American Cancer Society) and now I could put my best breast – or foot – forward because I was the research. It is amazing to see the strides that have been made to find the cure for so many cancers and I am impressed by how far treatments have come. It is through clinical trials, like i-Spy2, that have helped move research forward. Treatment itself was fairly straight forward. The docs checked my blood, my weight, and my vitals to be sure I was in good shape. Then I headed down to the center, took a seat and waited for the nurse. I was given anti-nausea meds, antihistamines, then the taxel and the study drug. It all took 3-4 hours and then I went home. I felt fine for the first 3 days, then, every week, on day 3 I would start to feel the drugs’ effects. I got quite tired (sleeping for 12-15 hours was new for me) and felt some stomach upset, but never really got overly sick. I was lucky, and I did what my doctor told me; walk as much as you can, was the prescribed exerciser program. I was also to continue with Pilates for as long as I could. So, I walked. Some days I made three miles and some days I made it across the living room.No matter how far I got, I walked nearly EVERYDAY. I firmly believe that walking was the key to keeping my side effects to a minimum. What I did get were rashes. At one point I had rashes on my rashes. The effects would last 3-4 days and just as I started to feel better the routine would start all over again. This went on for 12 weeks. Then the big guns were pulled out; Doxorubicin (Adriamycin) and Cyclophosphamide (Cytoxin) commonly referred to as A/C, were the second set of drugs I was given. I don’t recall ever being so sick in my life (although when I had viral meningitis…that was a close second to this). The effects hit immediately following the infusion and lasted, to some degree or another, right up to the next infusion. By the forth, and last, treatment I thought I would never be able to move again, and I was completely bald (bald is defined here as: every hair on every square inch from my toes to the top of my head was gone…just think about all the places you have hair.) I also had chemo-brain so badly that I could barely string a sentence together. I had to quit driving. Everything hurt and if I still had hair I’m sure that would have hurt as well. All of this sounds quite miserable (and it was…more like a living hell actually), BUT it saved my life. Back in November I thought I was going to die. If the cancer didn’t kill me, I was sure the treatment would. After 16+ weeks of medical treatments, another biopsy, and two more MRIs, the tumor had shrunk to half its original size, and the lymph node was back to normal size. Surgery and the biopsy results would be the final curtain call. This is the end of Part 3 of a multi-post story. Part 4 will be coming soon! After all the poking and prodding, the diagnosis was not the best news. Invasive Ductal Carcinoma. The good news; this is the most common type of breast cancer and a lot is known about it. The bad news; “triple negative” and aggressive. Triple Negative means that there are no hormonal influences that produced the tumor so I could not receive non-chemo treatment. How aggressive? On a scale of 1-4 (4 being the most aggressive) mine was a 3. My research began in earnest. I read cancer blogs, articles, research papers, and watched videos about the benefits of traditional medicine vs alternative medicine. In a short week I felt I knew more about breast cancer than I would have otherwise learned in a normal lifetime. I really only had two choices for treatment. (Well, actually three choices, but the “doing nothing and dying” was immediately taken off the table for discussion. I had too much living left to do.) I could follow an alternative path by making extreme changes in my life choices (a strict, and extreme diet change along with intense daily exercise) and the chance that the cancer would stabilize or even go away (also a chance it would continue to grow). Or, I could follow the doctor’s recommendation of chemotherapy, surgery, and radiation treatments. I had very little time to make a decision. Both sides of the argument were convincing. On the one side I could change everything about my lifestyle (eating, sleeping, exercise and diet). The experts said that this approach shifts the Ph balance in the body to make it a toxic environment for cancer to survive. There is science to support alternative medicines and lifestyle changes. I read about several people who have kept their cancer under control with these aggressive changes. Yet, the alternative route was a little frightening to me. What if it didn’t work? What if the cancer spread and I faced a more grim prognosis? Could I really make that extreme of a change in my lifestyle? On the flip side was chemotherapy, surgery, and radiation which are strongly supported by science, yet the side effects aren’t pretty. These highly toxic treatments do kill the invading cells, but I ran the risk of having side effects that could pop up anytime in my life. First, it might not work, or it might only have partial success. Then there is the possibility of secondary cancers from the radiation, or the side effects of the chemo could be debilitating. Not to mention the inherent dangers in any type of surgery. My decision was made. On December 23, 2014, I began my journey down the long road of chemotherapy, surgery, and radiation. This is the end of Part 2 of a multi-post story. Part 3 will be coming soon. Halloween was over and gearing up for Thanksgiving should have been a piece of cake. Last year, I didn’t make anything for Thanksgiving. I was a “no show” for Christmas, New Years, Easter, my birthday, and Mother’s Day. I didn’t make it to any of the celebrations between November 15, 2014 and June 15, 2015. Facing death does a funny thing when it comes knocking. It changes everything about living. On November 15, 2014 I was diagnosed with Stage 2, invasive breast cancer. The “BIG-C” knocked on my door. It was the last thing I could imagine to show up. My family’s health history is healthy, hearty, and we live forever. Nope. “I’ll never get cancer,” is what I always thought. When I received the news my world tipped over in a blur. It landed on its side and everything spewed out onto the floor. I stood over the mess of my life with an empty stare. My gaping mouth wouldn’t close and my knuckles dragged along the ground. The news pulled me to my knees and I wailed like never before. Life’s joke was on me this time, and the questions started to tumble through my mind. What happened? What did I do wrong? Wasn’t I living a good, moral life? Had I laughed about exercise too long? Was my diet so horrible that my body broke? What do I do now? I was forced to face this head on. I had no choice. Breast Cancer would kill me just as surly as if I were hit by a train going 60 miles an hour, only I’d die a much more slow and painful death. I had nine months to a year if I did nothing. A year and a half on the outside. Somewhere I found a bit of strength that was buried deep inside my soul. It was a tiny spark. The one that people tap into whenever they face a crisis. The blind faith that promises everything will turn out as it should. It was the light of that small flame that got me through those first few weeks. In the short time between my diagnosis and the start of Chemo I was poked, prodded, photographed, MRI’ed, CAT scanned, biopsied, and looked at by more people than I could have imagined possible. I consulted with doctors, nurses, friends, relatives, and (of course) the internet. Friends volunteered their stories of mastectomies, lumpectomies, chemo therapy, radiation, lymph nodes and reconstructive surgeries. They told me about the many who survived and the few that didn’t. I went vegan, then raw, then I got sick from changing my diet. I found a new taste for freshly squeezed vegetable juice ( in case you are wondering, kale juice is really gross). Organic foods filled the cupboards and exercise was no longer a 4-lettered word. My life was changed forever. There was no going back…only forward. For a short time, I flayed through each day without direction or focus. Time was not what I had an abundance of. I wanted to know what my options were. I had to do a LOT of research. I needed a lot of information in a very short period. I had to decide if I would follow the traditional treatments or some other, alternative, method. This is the end of Part 1 of a multi-post story. Look for Part 2, “Decisions for the Rest of My Life”, coming soon! It was three in the morning as I lay in bed staring at the dark ceiling. It is a regular routine for me to be awake at that ridiculous hour. I followed my usual habit of laying there staring at the ceiling for about twenty minutes then getting up and wandering through the quiet house, eating some yogurt or a granola bar. Then head back up, taking an herb my husband keeps on hand to relax the mind, and fall back into bed hoping for sleep. This particular night was the same. Nothing new. Nothing different. I was just laying there listening to the creek drifting out of my sound machine next to the bed. Then I felt it. It was a small pain that ran in my left chest and I reached with my right hand to give it a rub. You know how a quick massage can chase away those little mysterious pains that invade our bodies? That’s what this was. Just a mysterious little twinge. There it was. I felt it. The dreaded lump. The one every woman quietly worries over throughout her life. Like Mount Everest it seemed to leap from my breast in its vastness. My breathing stopped. I’m sure my eyes must have dilated and I honestly think my heart leaped into the next room. Then something kicked in upstairs and I fell into a full blown state of panic. Within thirty seconds I had run the gamut of dying tomorrow to the whole thing being a cruel trick of my imagination. Quickly I did a double, then triple, then quadruple check. Yep. It’s there. Bigger than life, or possibly even death itself, a lump. I was panting. My heart thrummed in my ears while my body vibrated with out of control nerves. As the horrific scenarios rolled through my mind an idea formed on the outskirts of the disaster. I needed information and I needed it now. It was four ante meridiem, and the doctor’s office wouldn’t open for several more hours. For once in my life I was thankful for the internet. I have heard that it is the worst place to go for information about medical issues, but this was one instance I didn’t care. I combed websites for any little clue as to what I had and after nearly three hours I came away feeling a little less panicked. The reel of my life stopped running in fast forward. I could postpone calling an ambulance and wait the hour left to call my doctor for an appointment. I did get in to see my doc and he is quite sure it is a cyst that has accumulated fluid around it (thus the size of Mt. Everest). He is in the ninetieth percentile of surety. It is that last ten percent that keeps me on edge. I am constantly tempted to get back on my computer to learn about that other ten percent, but I have resisted the urge. The internet contains vast amounts of information on everything related to breasts whether they hang from a woman or a man. There are hundreds of thousands of links that are filled with the good, the bad, and the misinformed. Since I found “Mt. Everest” three days ago I have mostly ignored the internet. It is just too much information. I am working to stay on the normal side of insanity. I have tests coming up soon that will give me the answers that I need. Until then, I have resolved not to let this sap my life away. Why let it? If I fall into the category with cancer then I will do what I have done all my life…cross that bridge if I come to it. *Post publication note: As it turns out this was breast cancer. You can read my story under the cancer tab.